In 2003 the Town Council introduced a skateboarding facility to the north-west corner of the park as a new attraction for young people. The park is run by Carmarthen Town Council as a public amenity, and includes play equipment, a green gym (outdoor fitness equipment for adults) and a skateboarding facility. Fees are levied for other facilities in order to offset the park's annual operation and maintenance costs. Details of hire charges are available on 01267 235199.
their period to survive in Wales. The gates were restored by the Town Council in 2000, with grant aid and advice from Cadw – Welsh Historic Monuments. Community organisations are welcome to use The Tea Shop as a base for activities and meetings they may wish to organise in Carmarthen Park. Arrangements can be made in advance for evening meetings by phoning the above number or enquiring at The Tea Shop. The newly restored velodrome and recently installed outdoor gym equipment also provide excellent resources for groups and individuals. So even if it’s raining, come along for a coffee and enjoy our hospitality. In 2000 Carmarthen Town Council restored the main park gates as a Cadw funded Millennium project. In 2008 Project Planning was funded by the Heritage Lottery Fund. In 2009 Carmarthenshire County Council refurbished and extended the grandstand and installed new floodlights. In 2008-11 major restoration, security and audience development work has been funded by the European Union's Rural Development Plan for Wales. 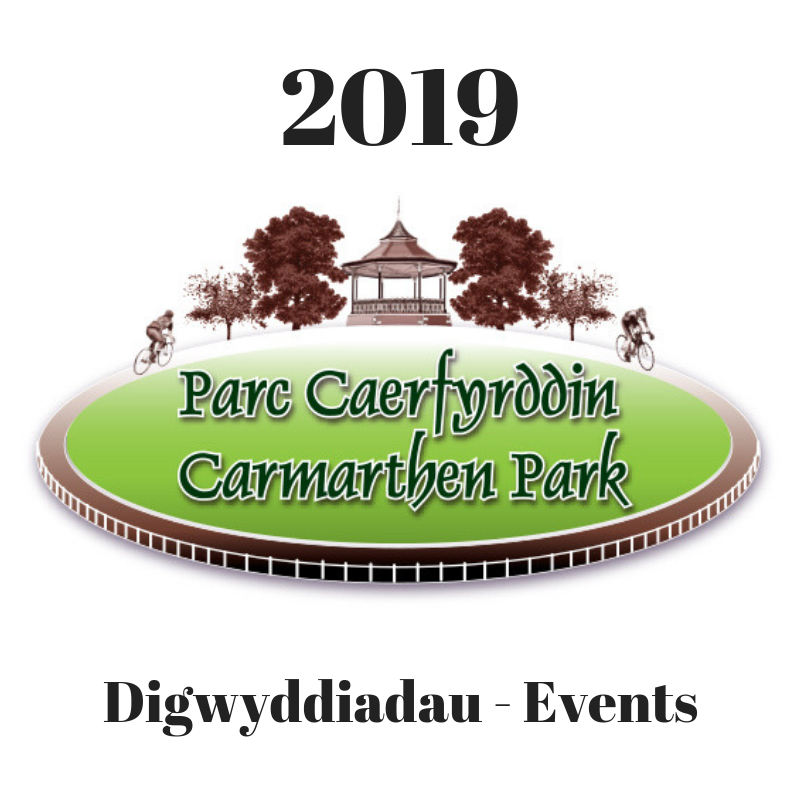 This Carmarthen Park Enhancement project (2008-2011) has received funding through the Rural Development Plan for Wales 2007-2013 which is funded by the Welsh Assembly Government and the European Agricultural Fund for Rural Development. Johnstown Park and Welfare Field are run by the Town Council as an amenity for the residents of Johnstown. Community organisations from the Johnstown area frequently use the park for events. The facilities include play equipment for children and a multi-use stage for outdoor performances. Parc Hinds was established on former Priory lands as a recreational area for the eastern end of Carmarthen town and includes a children's playground. 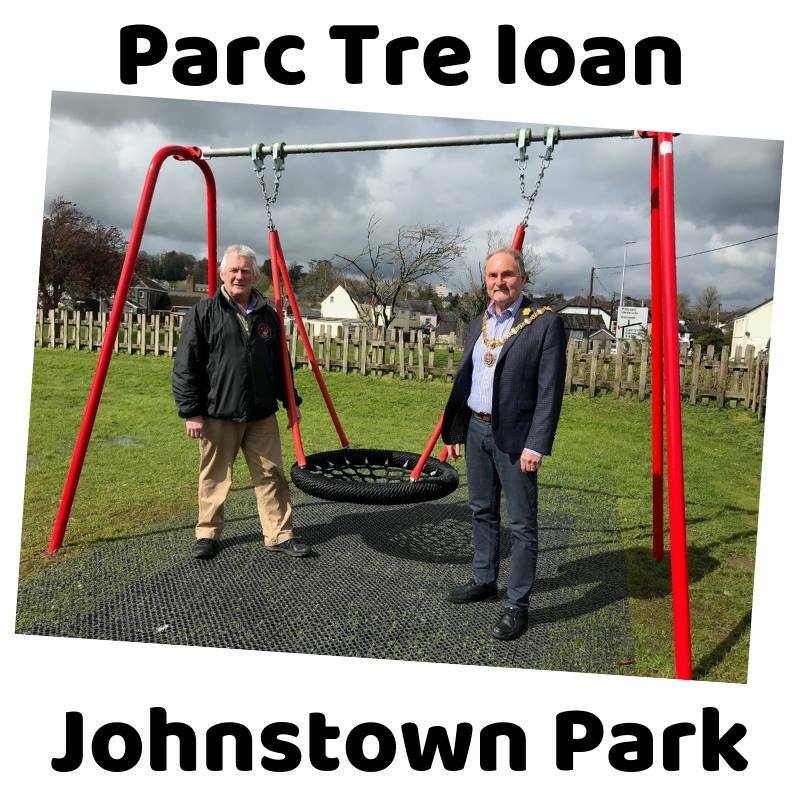 The park was given to the town in 1927 by Mr John Hinds, who had served as Lord Lieutenant for Carmarthenshire, Liberal MP for Carmarthen West, JP and Mayor of Carmarthen. Mr Hinds was born at Cwnin Farm, Carmarthen, and was apprenticed as a draper to his uncle, Mr Charles Jones, in Waterloo House at the corner of Nott Square and Hall Street. At the age of 25 Mr Hinds set up in business in Blackheath, London, and his firm grew to become one of the best known in south-east London. He became President of the Drapers' Chamber of Trade for the United Kingdom, President of the Welsh Baptist Union, President of the London Welsh Literary Society, and President of the London Welsh League of Nations. A staunch Welsh nationalist, Mr Hinds was Treasurer of the Honorary Society of Cymrodorion and Treasurer of the National Eisteddfod Association. His obituary in The Welshman (3rd August 1928) referred to 'the esteem in which he was held by people of all sects and creeds, high and low, rich and poor, in every walk of life... a man who had been their true friend, and whose beautiful character (typified by his honesty, sincerity and simplicity) had won for him a warm place in their hearts'. The Town Council operates an informal recreational ground, which is used occasionally by local young people as a football pitch, at the corner of Picton Place and Penbryn Avenue, behind Penllwyn Park, for the benefit of the north-west area of the town. In Russell Terrace the Town Council has opened a multi-use ball park, including football goals posts and basketball goal posts. The area is fenced in and has a hard play surface.